Many genealogical researchers are dismayed when they realize that some of the records they need are in Russian. Some people give up at this point thinking that they can never master a non-Roman alphabet. This workshop will teach you to conquer you fear and get you reading the records in no time. 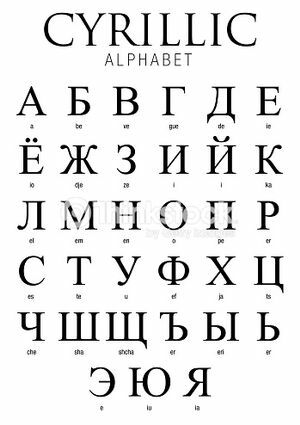 To make you more comfortable with this alphabet, this hands-on, interactive workshop will help you learn to recognize and write all the letter symbols in the Cyrillic alphabet and learn the sounds each letter represents. We will also talk about the concept of transliteration: the process of changing words from one alphabet to another. Emphasis will be placed on personal names and place names. The instructor, Jonathan Shea, is a language professor at Central CT State University. Sponsored by Polish Genealogical Society of Connecticut and the Northeast and Jewish Genealogy Society of Connecticut.